Dylan O'Sullivan Farrow attends the TIME 100 Gala, celebrating the 100 most influential people in the world, at Frederick P. Rose Hall, Jazz at Lincoln Center on Tuesday, April 26, 2016, in New York. In her first televised interview, Dylan Farrow described in detail Woody Allen's alleged sexual assault of her, and called actors who work in his films "complicit" in perpetuating a "culture of silence." Farrow, the adopted daughter of Allen and Mia Farrow, appeared in a taped interview Thursday on "CBS This Morning." Farrow recounted the 1992 incident, when she was 7 years old, in which she said Allen molested her in her mother's Connecticut home. "With so much silence being broken by so many brave people against so many high-profile people, I felt it was important to add my story to theirs because it's something I've struggled with for a long time," Farrow said. "It was very momentous for me to see this conversation finally carried into a public setting." Farrow, now 32, described being taken to a crawl space by Allen. "He instructed me to lay down on my stomach and play with my brother's toy train that was set up," she said. "And he sat behind me in the doorway, and as I played with the toy train, I was sexually assaulted," Farrow said. Allen was investigated but wasn't charged, and he has long denied inappropriately touching Farrow. In a statement Thursday, Allen reiterated his denial and said "the Farrow family is cynically using the opportunity afforded by the Time's Up movement to repeat this discredited allegation." "I never molested my daughter — as all investigations concluded a quarter of a century ago," Allen said. After a seven-month investigation, a team of child-abuse specialists at Yale-New Haven Hospital concluded Dylan was not been molested. The doctor leading the investigation, John M. Leventhal, later said in a sworn statement that he theorized Dylan either invented the story or had it planted in her mind by her mother. But Connecticut state attorney Frank Maco says there was "probable cause" to charge Allen with molesting Dylan and that police had drawn up an arrest warrant, but that he decided not to pursue the case, in part because it would traumatize Dylan. Allen noted that Dylan's older brother Moses has said he witnessed their mother coaching Dylan. "It seems to have worked — and, sadly, I'm sure Dylan truly believes what she says," said Allen. Farrow's younger brother Ronan Farrow, who has written several exposes for The New Yorker on Harvey Weinstein, has supported Dylan's claims. 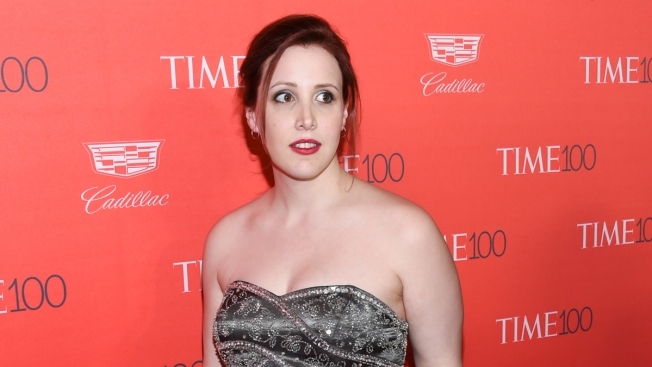 Dylan Farrow first spoke publicly about the incident in a 2013 Vanity Fair article and a 2014 open letter to The New York Times. On CBS, she called Allen's version of events — that a distraught Mia Farrow coached her story — "crazy." "What I don't understand is how this crazy story of me being brainwashed and coached is more believable than what I'm saying about being sexually assaulted by my father," Farrow said on CBS. Dylan now lives married with a 16-month-old daughter in Connecticut. When a clip from a 1992 "60 Minutes" interview of Allen denying the allegation was played, Farrow began crying. "He's lying, and he's been lying for so long. And it's difficult for me to see him and hear his voice," Farrow said. In recent days, several actors who have worked with Allen have distanced themselves from the 82-year-old filmmaker. Timothee Chalamet on Tuesday said he will donate his salary for an upcoming Allen film to three charities fighting sexual harassment and abuse: Time's Up, the LGBT Center in New York and RAINN. The breakout star of "Call Me By Your Name" said he didn't want to profit from his work on Allen's "A Rainy Day in New York," which wrapped shooting in the fall. Rebecca Hall ("A Rainy Day in New York," ''Vicky Cristina Barcelona"), Mira Sorvino ("Mighty Aphrodite"), Ellen Page ("To Rome With Love"), David Krumholtz ("Wonder Wheel") and Griffith Newman ("A Rainy Day in New York") have all in some way distanced themselves from Allen or vowed they wouldn't work with him again.